Fabfilter have a reputation for delivering innovative and intuitive takes on many essential everyday plugins and “Pro-R” yet again delivers on that promise! 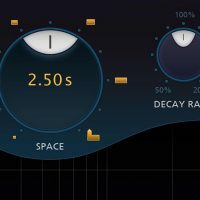 This is an algorithmic reverb plugin capable of anything from short ambient spaces to huge hall effects, that will sit beautifully in any mix and is a joy to work with! Purchase this product now and earn 51 Reward Points! As one of the most used effects in the audio world, reverbs come in all forms and flavors. A great reverb sounds natural and sits in the mix perfectly. At the same time, it should not confuse you with over-technical controls, but must be easy to set up and a joy to work with. Give Your Music Some Space! Perfect for Drum Tracks, Vocal Arrangements, Busy Synth Arpeggios and more! 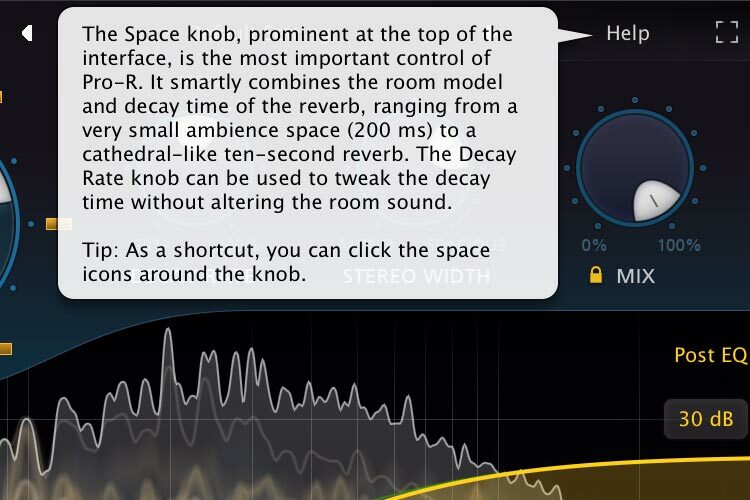 The decay time of a real room often varies wildly over the frequency spectrum, which is one of the key ingredients of a room’s reverb character. 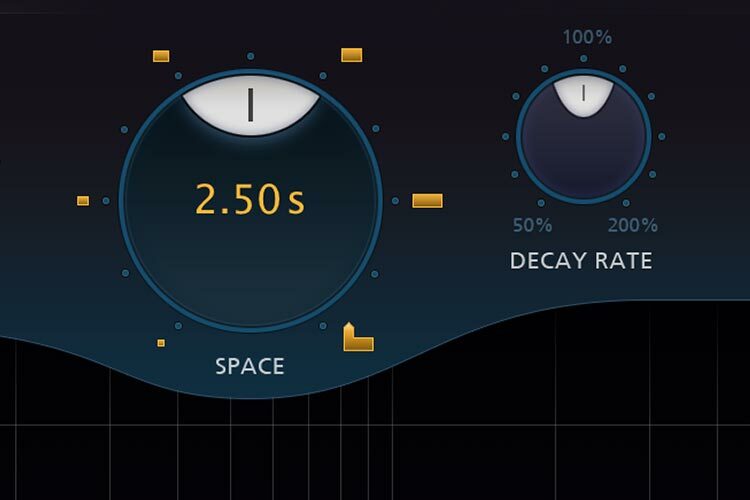 To simulate this, the industry-first Decay Rate EQ concept in FabFilter Pro-R offers completely free adjustment of the decay time over the frequency spectrum. Since it uses parametric EQ bands instead of a traditional crossover system, it provides much more flexibility to shape the decay time characteristics. Together with the integrated 6-band Post-EQ, designing reverbs of any style or character has never been easier. 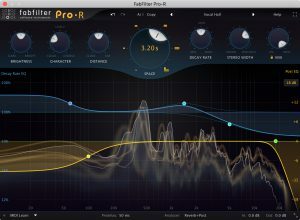 So What Exactly Can I Do With Fabfilter “Pro-R”? Normally €169 – get it at 40% off before it’s gone! 40% off the normal price (normally €169)! 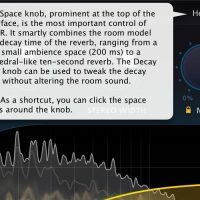 An algorithmic reverb plugin like no other! Perfect for Individual Drum Tracks, Vocal Arrangements, Busy Synth Arpeggios and much more! "Sonically, Pro-R is rich and evocative, equally at home generating super-sized Hollywood-style staging as it is airy, intimate vocal treatments. Despite being about as easy to use as a high-end reverb could reasonably be, it doesn't come across as dumbed down. 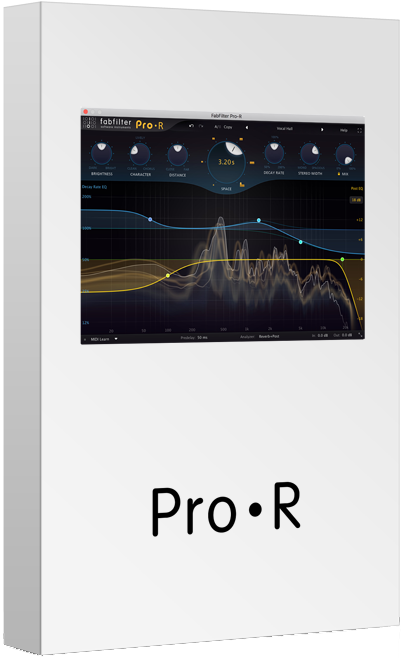 Pro-R is an excellent studio reverb with a sound and flexibility that belie its almost non-existent learning curve." 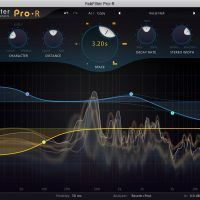 "All in all, though, Pro-R is yet another demonstration of the worth of FabFilter’s distinctive vision for plug-in design. It’s as simple to use as the most basic reverb you’ll find given away with virtual cornflake packets, yet has a sound and a range that plug-ins with tens or hundreds of editable parameters struggle to match." "As much as I thought I had no use for another reverb, I am smitten. I have only one piece of advice at this point. If you do not have the money to purchase Pro-R, then whatever you do, do not download and audition a demo copy. After all, there are certainly other excellent algorithmic reverbs available, some of them costing less than Pro-R. But knowing that is not going to stop you from feeling lust, envy and … oh what the hell … gluttony." 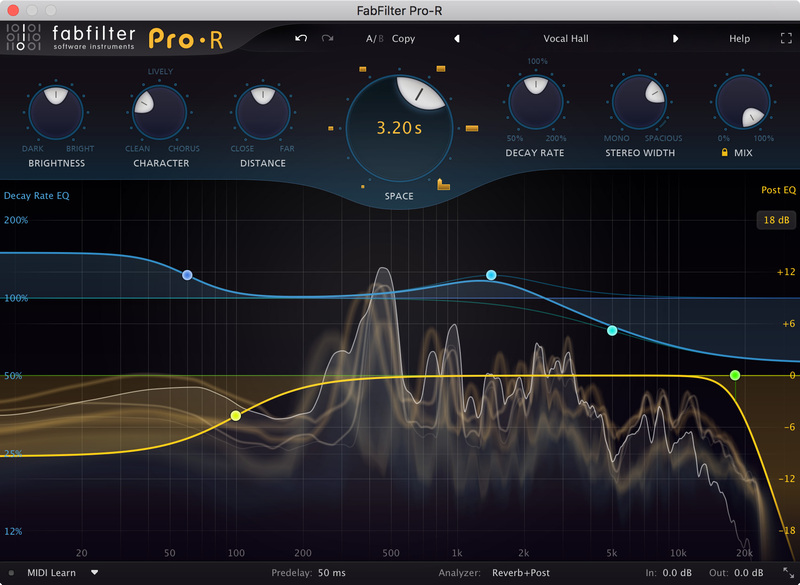 "Pro-R is another hit for FabFilter. The interface is a joy to use, encouraging intuition and making some complex functions child's play to work with. Better still, the sound quality is gorgeous, from slap-back and ambience treatments to lush, multi-second special effect reverbs." "In operation I found Pro-R to be absolutely brilliant. The controls are extremely familiar, the interface sleek and efficient, and presets were a great starting point for getting the exact sound I wanted. 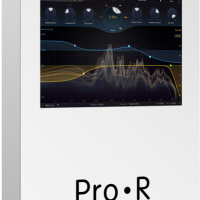 Pro-R is easily one of the most flexible, easiest to use plugins on the market and easily Everything Recording’s official “Reverb Plugin of 2017”."